and tissue capture during laparoscopic procedures. In the fully-open position by metallic rim. 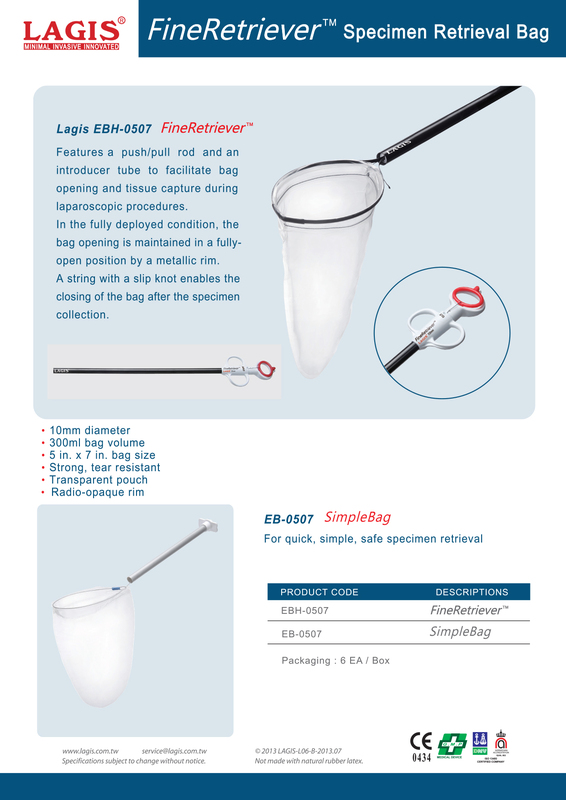 A string with a slip knot enables the closing of bag after the specimen collection.